Toonstar, a Los Angeles, CA-based app that lets anyone livestream their own cartoon shows, received a seed funding round of undisclosed amount. The round was led by Science Inc. with participation from Jon Goldman’s GC VR Gaming Tracker Fund, Manta Ray and Social Starts. The company intends to use the funds to accelerate growth of Toonstar and its new interactive animation format. Founded by former Warner Bros. and Disney digital media and strategy executives John Attanasio and Luisa Huang, Toonstar enables users to become a cartoon character via facial recognition technology and then livestream and create videos for their fans from anywhere. Fans can interact with characters in real time, and creators can leverage that data to effectively develop compelling characters and story. During three months in beta, the app attracted more than 20,000 users who consumed more than 500,000 hours of livestreamed content. 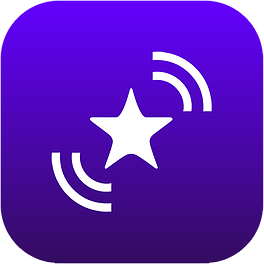 With the launch out of beta, Toonstar users will now be able to livestream right in the Toonstar app and can continue to connect with popular video and live streaming platforms including Facebook Live, YouTube Live, Musical.ly, Live.ly and more. The company is now rolling out new app features and hosting new exclusive shows from livestreaming stars and Skybound Entertainment, the multiplatform entertainment company behind The Walking Dead. Toonstar can be downloaded for free in the App Store.